South Korea's mobile maker Samsung is about to launch its new Galaxy M Series smartphone in the Indian market. Once the official launch, the specification of the Galaxy M10 smartphone has leaked once again. For the information of the people, let us know that the Galaxy M series will be launched in the Indian market on January 28. Under the Galaxy M series, three new smartphones can be launched with the Galaxy M10, Galaxy M20 and Galaxy M30. Samsung wants to compete with Xiaomi, Asus and Realm India through its Galaxy M series. The company recently launched the Galaxy M10 and Galaxy M20 in the Indian market, which is being sold in flash cell via Amazon India. Now the news is that the company can launch third device soon in this series. 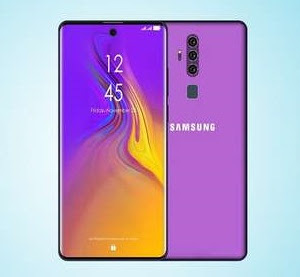 The company can launch Galaxy M30 soon in the Indian market. However, there is no information about when this smartphone will be launched in India. 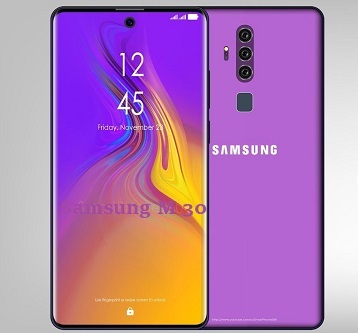 According to Lex, the Galaxy M30 can be launched with the 6.38-inch Infinity V AMOLED display, which will have a resolution of 2220 × 1080 pixels. The 2.5D curve in the phone can be given tampered glass. The Galaxy M30 can offer up to 6 GB of RAM. Apart from this, there will be 128 GB internal storage. Triple camera setup can be given in the back of the phone. Its back can have a 13MP + 5MP + 5MP camera setup. The phone can be given a 16MP camera for selfie. The Exynos 7904 chipset can be given in the smartphone. This smartphone can be presented with a gradient design. Smartphones can have dual SIM card slots, Bluetooth, 4G and VoLTE for connectivity. The phone can have a 5,000mAh battery which can come with Quick Charging support.